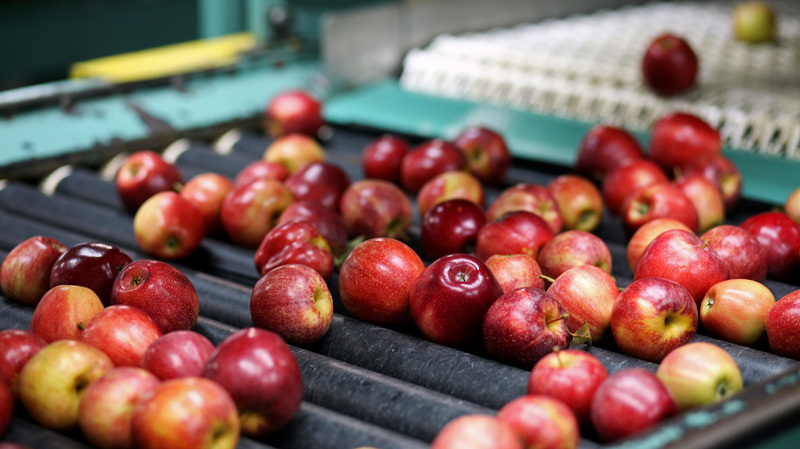 The Michigan Gala apples on this packing line will soon be in short supply. 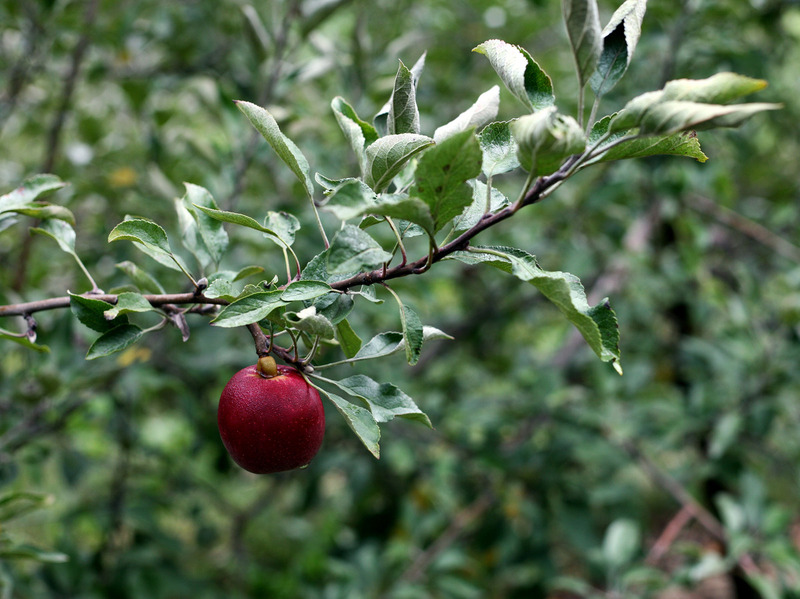 After a mild fall and winter, then a late-April freeze, Michigan's apple cultivation has dropped 90 percent. An apple a day might keep the doctor away, but what do you do when there are no apples? It's a question western Michigan's apple growers are dealing with this season after strange weather earlier in the year decimated the state's apple cultivation. Michigan is the third-largest apple producer in the U.S. after New York and Washington, but the state's apples will soon be in short supply. Now in the middle of harvest season, growers are picking only 10 percent to 15 percent of their normal crop. Michigan State University estimates the wholesale value of the missing apples to be $110 million, a hit that is rippling through the regional apple economy. Less fruit means fewer picking jobs and little to no income from apples in storage that growers rely on to get them through to the next year's harvest. 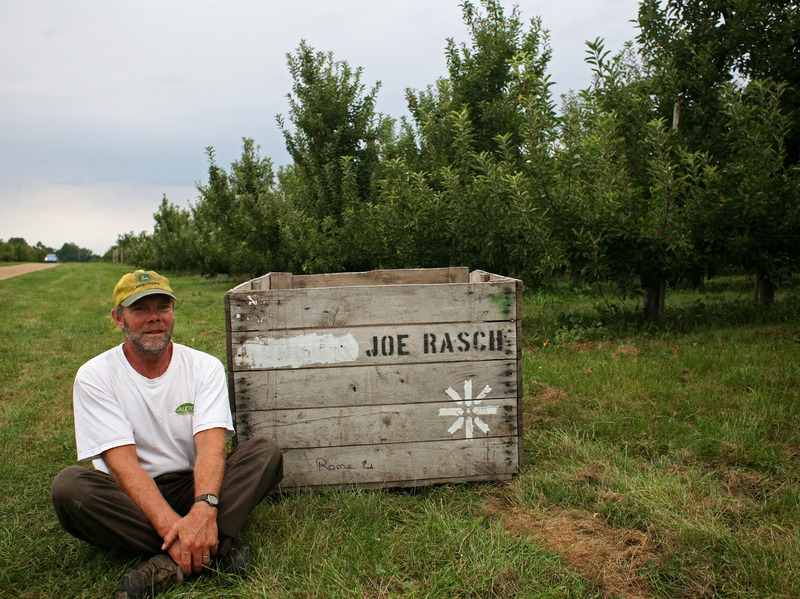 Joe Rasch has been a full-time apple grower for nearly 20 years. He says that this year, he's having trouble filling his bins. "This spring, 2012, is probably going to be one for the record books," says Amy Irish-Brown of the Michigan State University Extension, who works with fruit growers in the west Michigan region known as the Ridge. The 8-by-20-mile stretch of low-slung ridges, normally ideal for fruit cultivation, is where 65 percent of the state's apples are grown. Irish-Brown says last fall's mild weather, followed by a mild winter with lots of rain and little snow, was the start of the problem. Then, in March, temperatures rose into the 80s. "That mild winter, no frost in the ground ... as soon as that warm weather came and lasted for a whole week, the trees just started growing," Irish-Brown says. The trees, sensing spring, broke dormancy. Buds, blossoms and even tiny 5-millimeter apples appeared. But winter wasn't done yet, and on April 27, temperatures plummeted below freezing. Irish-Brown says that in some of the lowest areas on the Ridge, it went down to 22 degrees. "I always say we're 2 degrees from disaster, most springs," says Joe Rasch, who has farmed apples here since 1984. "This year, it caught up with us." Rasch has orchards on several farms on the Ridge. He says that on the night of April's deadly freeze, people burned hay and used wind machines to try to stave off the worst of the cold for their apples, but the supplemental heat couldn't beat it. "I just don't know what you can do to heat up acres of countryside," Rasch says. Rasch's harvest this year is less than 10 percent of his usual crop, he says, which means less work is available for apple pickers. Abel Balderas, Rasch's foreman, says he normally has between 60 and 70 workers picking apples. This year, they only hired 20. "I heard [the workers we couldn't hire] went to different states to work," Balderas says. "Hopefully next year we have a better season and they come back." Jack Brown Produce is also feeling the pinch from the contracted picking season. Some 75 local apple growers on the Ridge and nearby take their fruit to the company to be processed, packaged and shipped out. "We are normally an 11-month-a-year operation," says the company's president, John Schaefer. "We'll start packing when harvest starts about mid-August, and we will generally go into the following July. This year I think it's going to be about the first of November when we finish." The shriveled harvest means the packing house will shut down for much of the year to come. Usually, most of the apples are kept in storage and shipped out monthly for the rest of the year, but that won't happen this time. Without the income from apples sold from storage, growers won't have any more money coming in until the 2013 harvest. At Schwallier's Country Basket farm market in Sparta, owners Judy and Phil Schwallier say they'll have the usual cider and doughnuts, and a corn maze. But they won't have U-Pick apples for sale this season. Years from now, when stories are told about the 2012 freeze and the harvest on the Ridge, the Schwalliers say they will recall walking out into their orchards looking for fruit. With so few apples on the trees, they gave each one a name. "When we found our first apple, we gave it 'Alice,' " Phil says. "We got up to 'Rachel.' We found, in other words, about 20 apples. That's how short they are. There's none out there." It might be tight times now, but people all along the Ridge are hopeful that next year's harvest will be a great one. The trees, they say, are resting and gathering their strength.